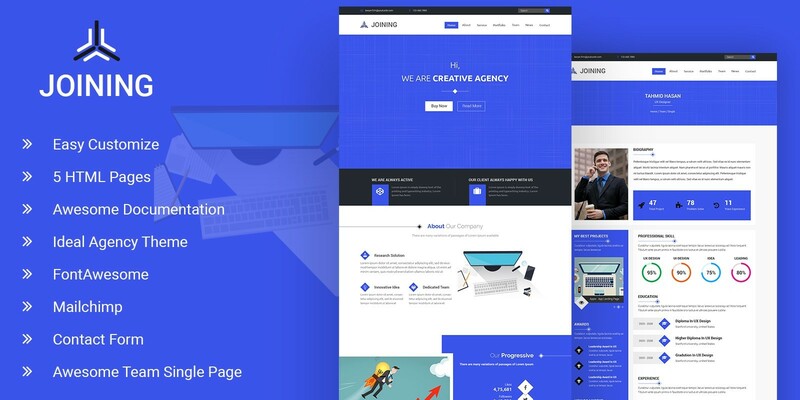 JOINING is the clean and material Agency template that is responsive for all of device with Bootstrap 3.3.6 Framework. You can easily customize and keep your company information. It has been decorated with all of modern feature.